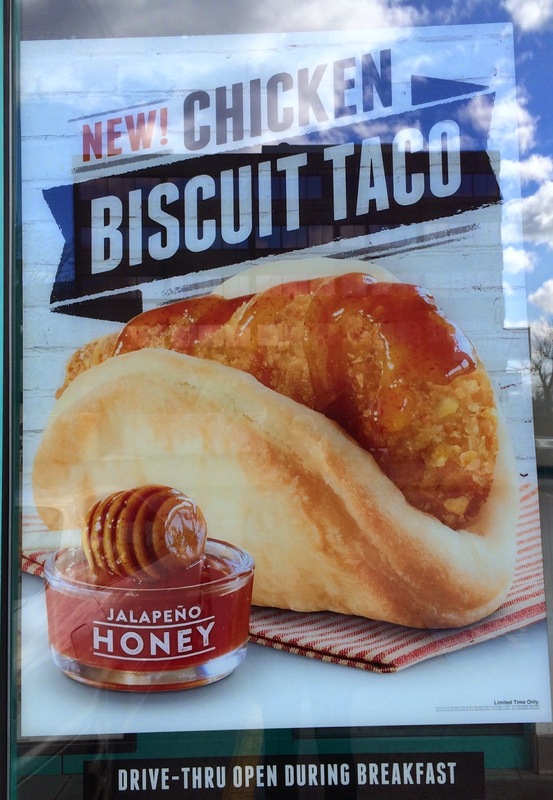 Taco Bell launched several new items on March 26, 2015, and one of the new lines is breakfast tacos. 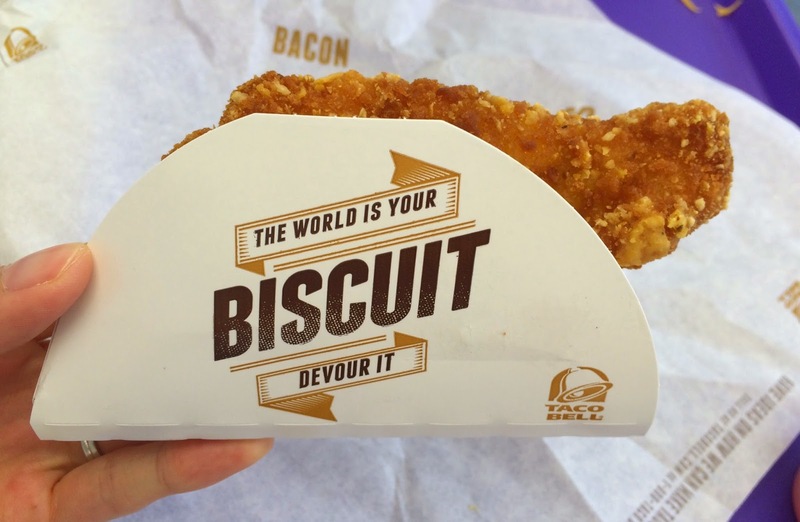 It's a biscuit folded like taco holding some fillings, and there're 4 kinds. Usually I find sausage and bacon stinky so that (1) and (2) were off from my choice. 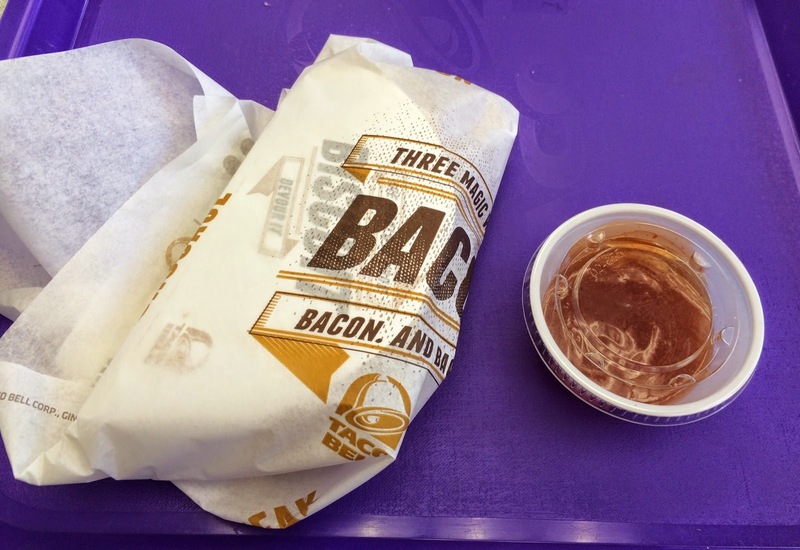 I woke up early enough to get Taco Bell breakfast for the first time ever in my life. At Taco Bell, from the far sight, I thought it's not gravy but ranch sauce (because I didn't know they had gravy at that time), so I chose (4). Jalapeño honey was served in a cup. The wrapping paper was interesting. 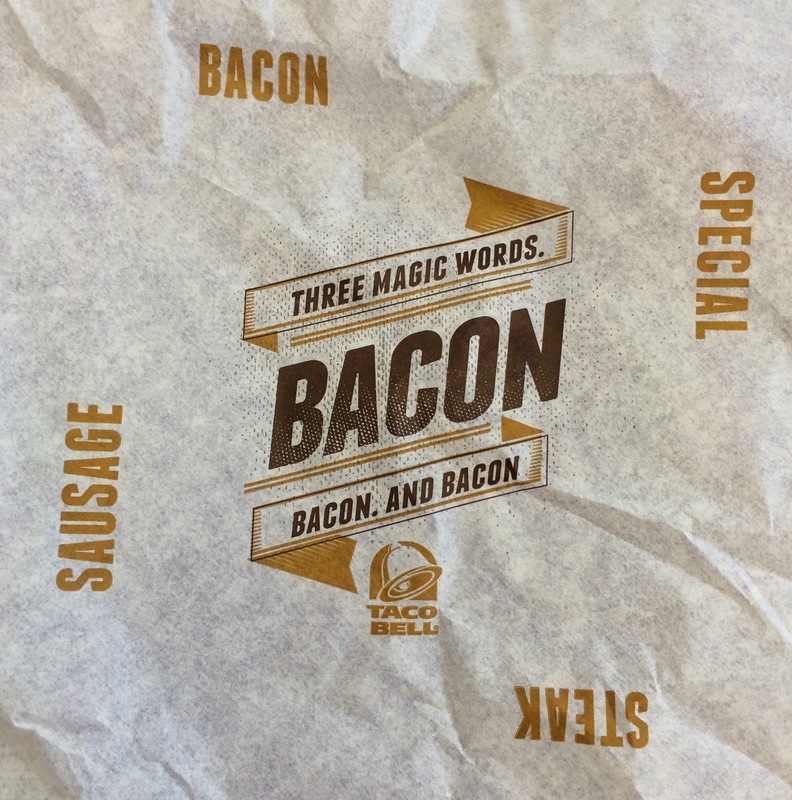 "Three magic words. Bacon. And bacon." surrounded by bacon, special, steak and sausage. This holder was actually very practical and easy to hold the content. 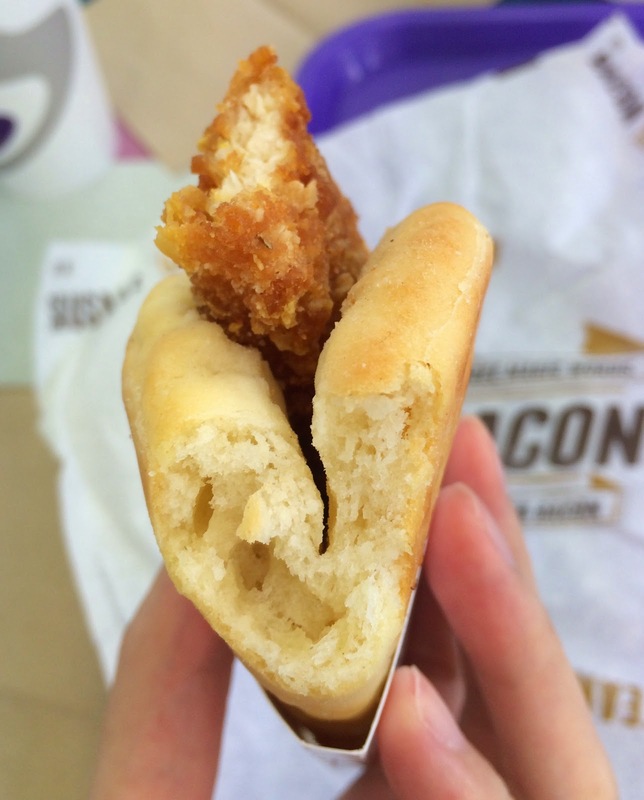 They use tortilla chips for the breading so that the outside was very crispy. The chicken was white meat and a little bit dried, but it didn't bother me much. 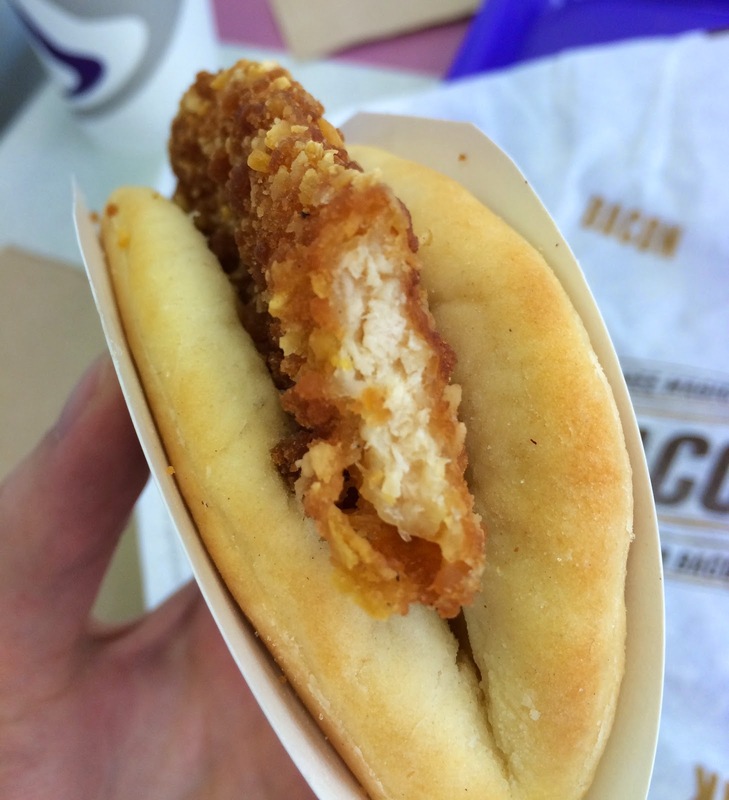 The biscuit was very soft inside and the outside was dry and flaky. 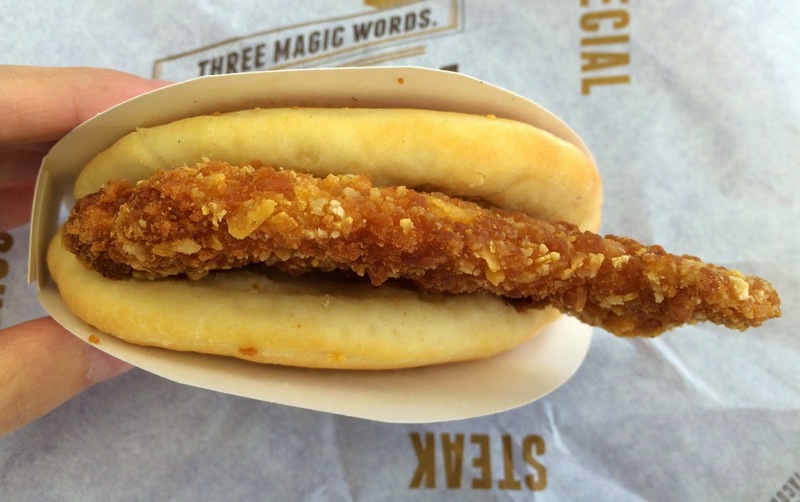 I was afraid it'd be too salty, but it's not salty at all and was a really plain biscuit. The jalapeño honey sauce was similar to Thai sweet chili sauce, and it's mainly sweet and had a little spiciness in the end. And it's as sticky as real honey, so I tried my best not to drop it on my clothes. 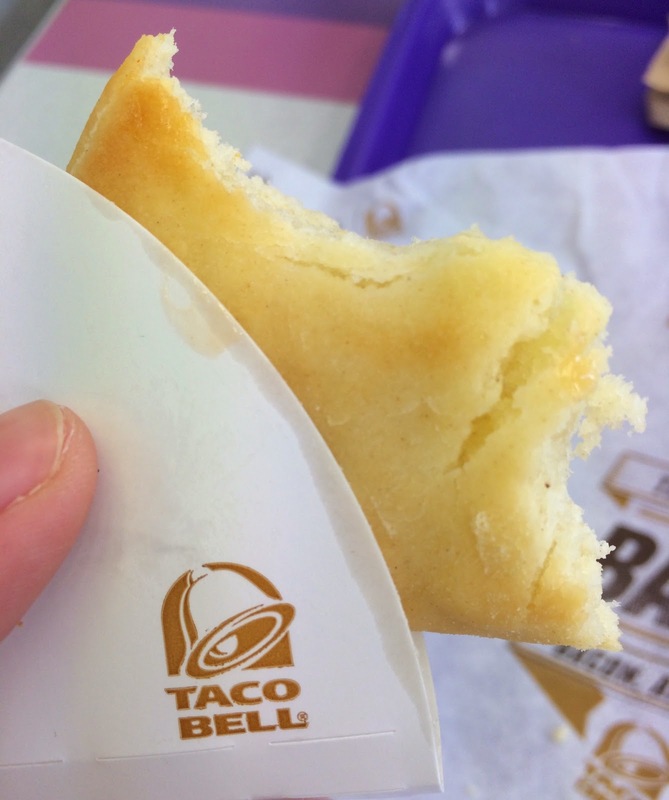 I thought the biscuit wasn't that greasy or oily, but by the time I finished the breakfast biscuit taco, the paper holder had a bit of oil stains. 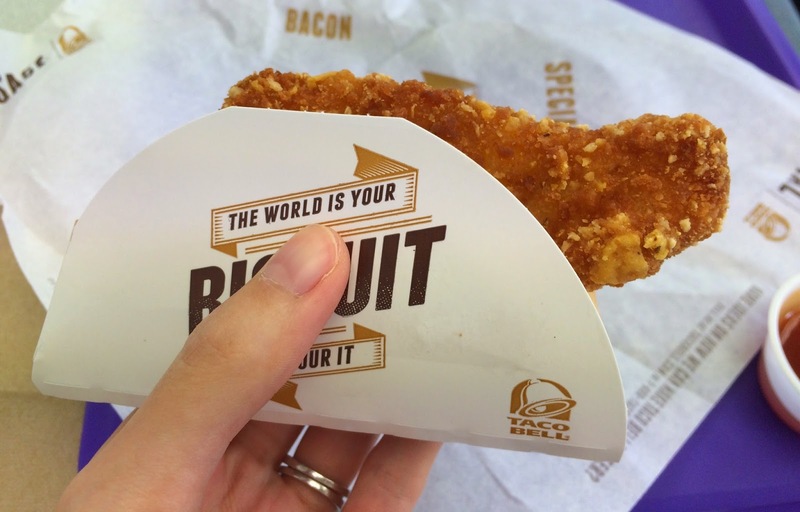 I really liked the biscuit taco itself as it's quite tasty. 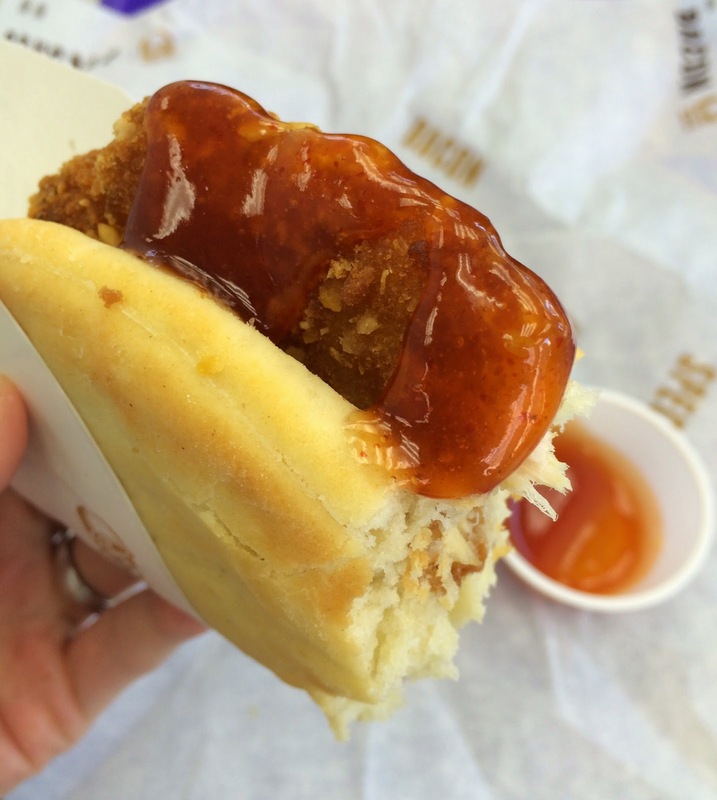 Next time I wake up early, I wanna try the gravy sauce. Other review of Taco Bell.